This video is pretty awesome! 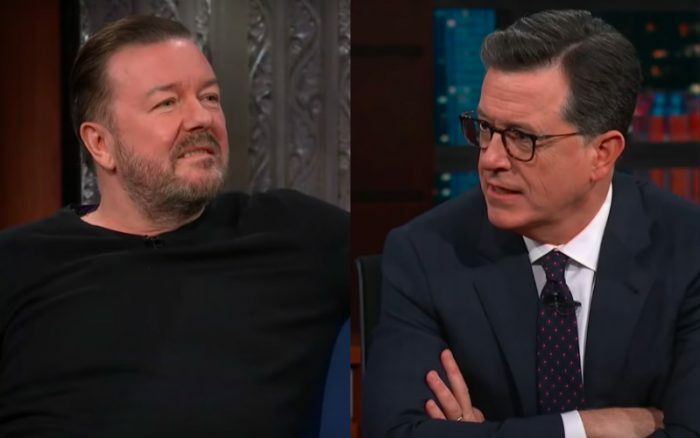 The Late Show host Stephen Colbert spoke with comedian Ricky Gervais, in which they conversed back-and-forth about their religious beliefs. Colbert is very vocal about his Catholic faith, while Gervais is unconvinced and unsure of the the existence of God.